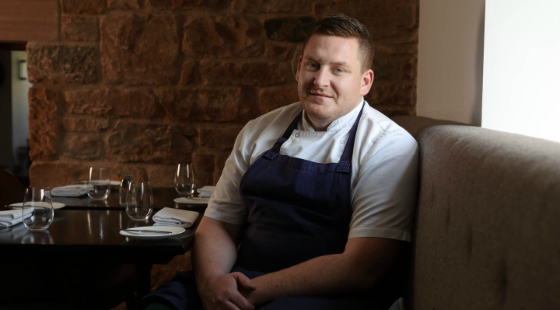 Staff, including head chef Gary McDermott, are understood to have walked out of the Pentonbridge Inn just before service on Friday. The restaurant with rooms in Carlisle, Cumbria, was forced to close and hasn’t opened since, according to The Caterer. McDermott replaced Jake and Cassie White in September 2018. The couple had launched the pub restaurant a year earlier, but left in May for personal reasons. A spokesperson for the Pentonbridge Inn said: “On the evening of Friday November 30, we were forced to close the kitchen at Pentonbridge Inn with immediate effect following the unexpected departure of four members of our kitchen team. “As we had no notice of this walkout, we were forced to rearrange hospitality where we possibly could for those guests who had reservations for that evening. The Pentonbridge Inn is currently looking for new chefs and staff members and all guests affected are being contacted. It’s owned by Gerald and Margo Smith, who also have nearby Netherby Hall. Twelve months in, and it was still early days at the rural restaurant. Notably, it was shortlisted for The Caterer’s Menu of the Year Award this year and was named Newcomer of the Year in the 2019 Good Hotel Guide. Reviews had been positive. News Cumbria, Pentonbridge Inn. permalink.